How to Use Automatic Captioning in Google Slides – TC Net-Works, Inc. 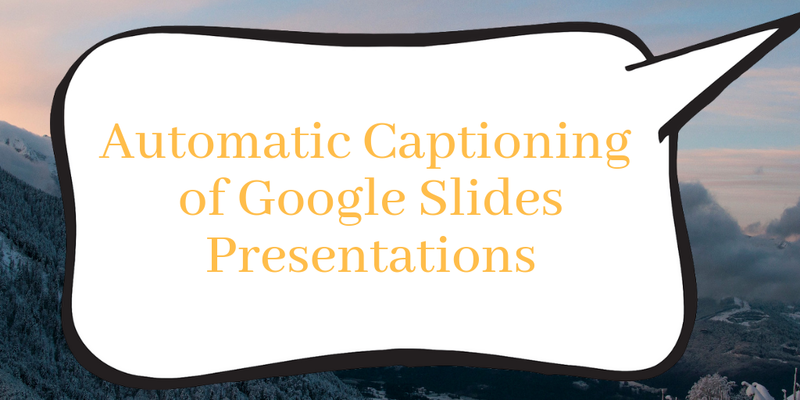 Earlier this week Google announced a new automatic captioning feature for Google Slides. That feature is slowing rolling-out to users over the next couple of weeks. The new feature appeared in my account yesterday morning. If you haven’t seen automatic captions in Google Slides, watch my short demonstration embedded below.